THE Beast From The East, banks, bowler hats, bigotry, bumbling buffoons, bikes and Brexit, these are just some of the big Bs to have featured in my column in 2018. 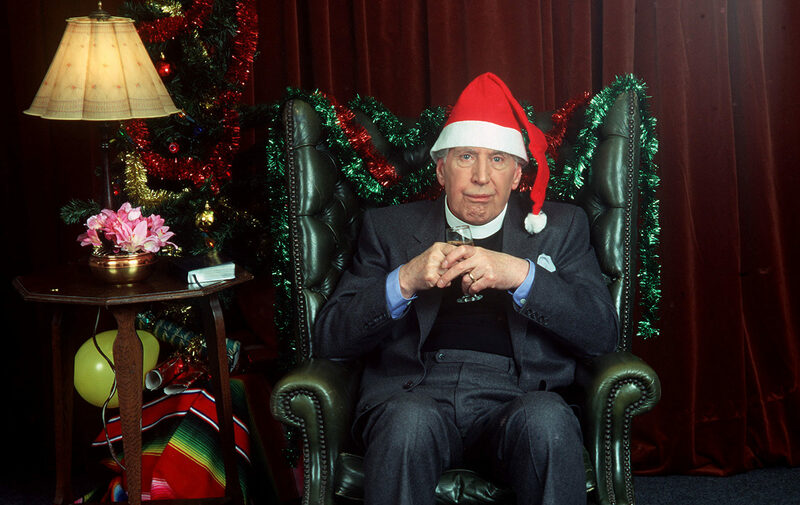 Rikki Fulton’s immortal character, the Reverend I. M. Jolly used to complain about having a hell of a year, every year. Well, in 2018, no one would be accusing him of hyperbole. In fact, we’ve all endured a hell of a year. We shivered, and our bones rattled in February, during the Beast From The East, when blizzards blew in from Siberia, numbing the tiny brain cells of the many drivers who took to the roads in vehicles not fit for the purpose and brought the country’s road network to a standstill. Our morally-questionable high street banks, particularly the Royal Bank of Scotland, got it in the neck from all quarters, quite rightly, for their rapid and insidious acceleration of branch closures, especially in rural areas. To their and the UK Government’s shame, these closures and their profit-driven pursuit of a cashless society has done more to damage and erode confidence in the high street, than crippling rates, parking charges and internet shopping. Well, the biggest response to any of my columns, by a clear orange mile, and mostly in support, came in July when I wrote about Scotland’s not so secret shame or, as Sir Billy Connolly recently had it, our nation’s hobby – anti-Catholic bigotry. Organisers may claim Orange Walks are peaceful, family-friendly, bowler-hatted saunters, but they are anything but and the quicker our authorities ban them, the better off the whole country will be. Take your pick, as there are many to choose from this year. My top six are the Tory Government, Jeremy Corbyn, North Korea’s Kim Wrong-Un, the SFA and, competing for top spot, ScotRail, who have hit the buffers and need put into the sidings and the paranoid owners of Gatwick Airport, who should have gone to Specsavers instead of overreacting at the supposed sightings of drones. The jury is still out on President Donald Trump as I don’t think he actually qualifies as a bumbling buffoon. I think he actually needs his own category, something like…The Completely Bonkers & Deranged Presidential Award. As for bikes, well my wife and I are still very saddle sore after ours were stolen. Sadly, the theft really has put the brakes on our love of cycling. Finally, we have the biggest B of all…Brexit! Do we really want to be ringing in the bells, celebrating out with the old and in with new, when we have this unresolved monstrous cataclysm lying in wait for us ? The Prime Minister’s rotten deal or no deal is appalling. Especially when Theresa May and her Cabinet are so obviously out of their depth. And as every day passes Europe itself looks like a busted flush, especially in militant France and the increasingly right-wing Italy, Austria and, worryingly, Germany. So happy New Year, everyone and the very best of luck in 2019. After this awful year, we might need it. And don’t throw away your first footer’s lump of coal… you might need that, too.